The Moderno Navy Marble Cremation Urn is made from cultured marble. 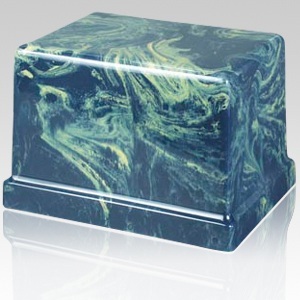 The urn is accented with swirled colors and a polished finish. Cultured marble is a very durable yet attractive material, making it perfect for internment or display. The simple yet modern design of this urn will bring peace and calm into your heart.